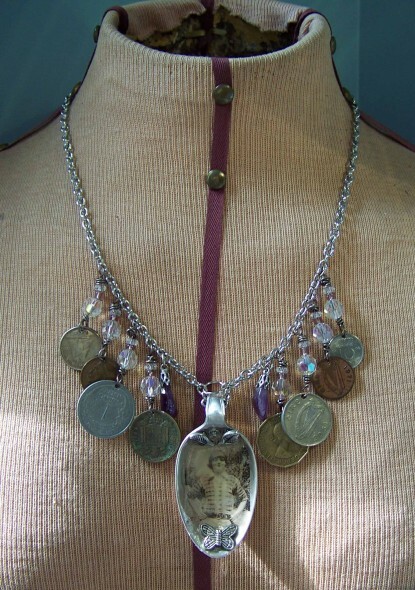 This is a necklace that I made for a friend of mine with a photo of her mother when she was a young woman. The coins were from a bracelet that her father had made for her mother and the gemstones were from a pair of her earrings. If any of you would like a custom piece of jewelry made from photos of loved ones, please contact me and we can design it around whatever theme you would like. I can scan any photos, so no originals would be lost or damaged.